A Robert Plant and Jimmy Page bootleg has been pulled from Canadian stores after lawyers for one of the stars declared it a bootleg. 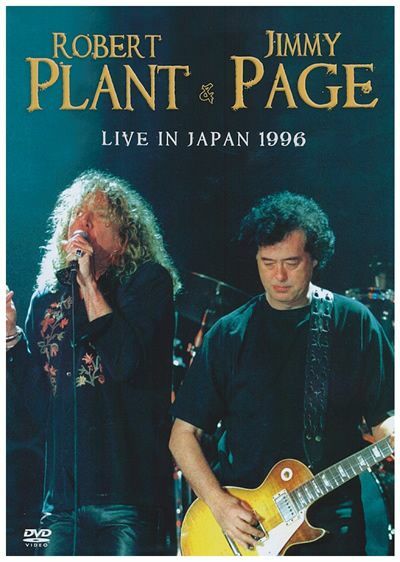 Sun News reports HMV and Best Buy confirmed that copies of “Robert Plant and Jimmy Page: Live in Japan 1996” are being removed from the shelves of their stores coast to coast after a lawyer for one of the ex-Led Zeppelin band members declared it a pirated DVD of a show the duo had done almost 20 years ago. "It is a bootleg," confirmed lawyer George Fearon in an e-mail two days after QMI Agency brought the DVD to his attention. "HMV Canada is ... removing both titles from our shelves until we have proof of their legitimacy," HMV spokeswoman Elyssa Macri said Friday. Prior to that decision, company president Nick Williams said that the supplier of the Live in Japan 1996 DVD, Koch Entertainment, had told HMV that the product is legitimate and it could be sold legally in Canada. Terry Stephenson, a Led Zeppelin fan who attended Page and Plant concerts around the world in the mid-90s, claims to have been the one who recorded the 1996 show in Tokyo. The San Diego resident said in an e-mail that he had the band's permission to record the show and that he shared VHS copies with the band, fellow fans and collectors. At no point, he said, was it meant to be for sale, but reckons that it was copied by bootleggers at some point.